In Byrd, the state charged appellant with theft of certain property from owner “Mike Morales.” At trial, however, the State did not prove, in any way whatsoever, that the property belonged to Mike Morales. 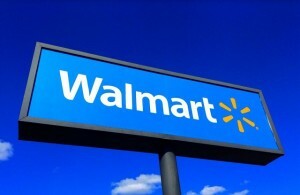 The overwhelming proof showed that the property, in fact, belonged to Walmart. On appeal, appellant argued the the evidence was insufficient because the State did not prove that the property belonged to Mike Morales. The 4th Court disagreed, holding that the name of the owner was not required, as it was simply a variance of proof. Although the name of the owner is not a substantive element of theft, the State is required to prove, beyond a reasonable doubt, that the person (or entity) alleged in the indictment is the owner is the same person (or entity) – regardless of the name – as shown by the evidence. The CCA explained that a conviction would still stand if an indictment alleged an incorrect name, such as Buddy Smith, when the proof at trial revealed that the victim’s name was, in fact, John Smith (Buddy was simply a nickname). In that instance, there would be sufficient evidence showing that the person alleged in the indictment is the same person from whom the property was stolen. Not only did the State fail to offer any evidence that “Mike Morales” – the person alleged in the theft indictment – has any ownership interest in or relationship to the property appellant shoplifted, but the jury, without any apparent concern the missing “Mile Morales,” convicted her nevertheless. According to the State, the “only explanation for this exceptional circumstance seems to be that it was so clear to all the parties involved – and possibly to the jury as well – that the real victim (both alleged and proven) was Wal-Mart that the discrepancy seemed not to matter.” An alternate, less generous explanation, is that everyone was asleep at the wheel. The parties, the court, and the jury must know the identity of the owner [of the stolen property] regardless of how the State names him. It is worth noting that the CCA did not foreclose the option of the State reindicting the appellant for theft from “Walmart,” as jeopardy has not attached to that specific offense. But as far as theft from Mike Morales goes, the appellant stands acquitted.